MOMO’s AIRtech Open Balaclava gives clean and comfortable support, with an ability to run a cable through a single hole. It doesn’t interfere with the driver’s chin strap. The Balacalava is made of fireproof nomex material, which meets FIA regs. 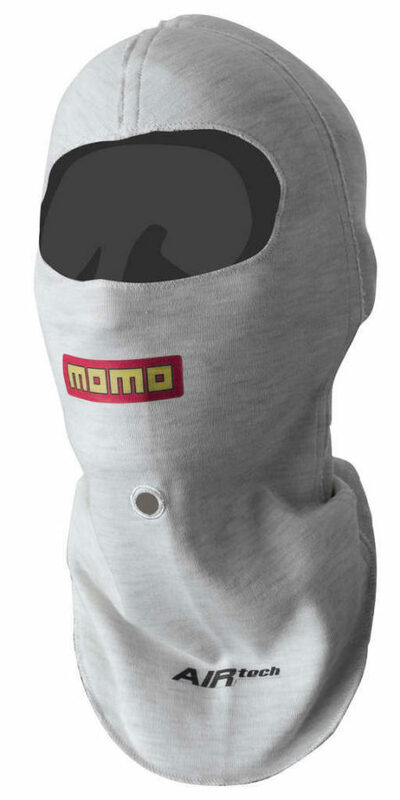 Like other MOMO racing garments, the Balaclava has open seams for a comfortable fit.